Are you suffering from a soft injury, inflammatory or degenerative conditions such as tendonitis or plantar fasciitis? Has conservative treatment such as anti-inflammatories, physical therapy, or braces not provided symptomatic relief? An Amniotic membrane injection may help you avoid surgery helping you return to your active lifestyle. What are amniotic tissue injections? An amniotic tissue is an excellent source of growth factors needed to heal chronic conditions such as wounds, injuries, joint pain, tendonitis, and plantar fasciitis. In this tissue are growth factors that reduce inflammation and promotes healing of damaged tissue. Growth factors are powerful agents that our bodies produce to signal cells to come to the target site, help the site to heal and help your own cells regenerate the damaged /inflamed tissue. It is steroid free, so there is no potential for damaging cartilage. There is significant anti-inflammatory quality, due to proteins in the injection. The injection involves local anesthesia to minimize pain. 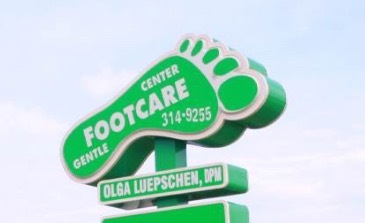 You may apply ice and elevate your foot after the injection. Is this procedure ethically questionable? The amniotic injection uses a placental tissue and the umbilical cord is donated from healthy Cesarean deliveries. The cells used are derived from the amniotic sac, not an embryo. All professionals agree that amniotic therapy raises no ethical or moral dilemmas. Click here for Regenerative Medicine Amniotic Membrane Injections for tendons and Heel Pain brochure.